On March 27, 2017, an attacker drove a car through crowds of innocent citizens on the Westminster Bridge before attempting to raid the Houses of Parliament. This was not the first time in the recent months that a vehicle was used as a deadly weapon, and the attack seemed to mimic both the attacks at a Berlin Christmas market and at a Bastille Day celebration in Nice. This unfortunate assault left four people dead and fifty others critically injured. 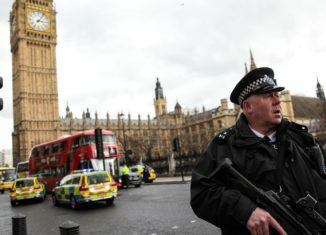 Shortly after the initial attack occurred, Parliament and the surrounding Westminster area were put on lockdown. Members of the government were instructed to remain inside the main debating chamber of the House of Commons while police investigated the situation, and the proceedings of the day were terminated. According to CNN, the greater part of central London was later included in this lockdown, with passengers on the London Eye Ferris Wheel being stuck on the ride for hours. As a result of this shocking event, London Mayor Sadiq Khan stated that more armed forces would be stationed around the British capital in order to protect the citizens of London from further acts of terror. A Guide to Sanctuary Cities: What are they? Should the U.S. allow them?